New photos from a house i designed a few years ago…. the clients are doing pretty much all of the work themselves which is amazing but of course is taking a little longer than normal!… fair play to them though and they are making a great job of it. 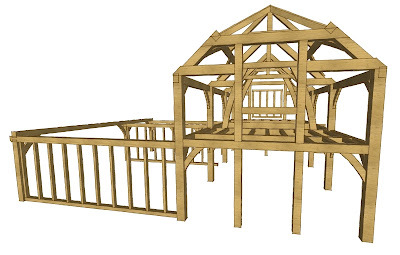 Another joint project with the Oakwrights team from Hereford. Really nice house this…. and really nice clients which always helps. This is a nice house i designed in Northamptonshire in local stone and brick. 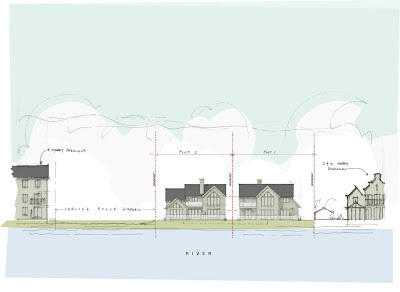 CAMBRIDGESHIRE HOUSES ON THE RIVER PASSED! Well, this was a job and half! These clients have been trying to get planning on their land for the last 10 years and it just never happened. I got involved around 18 months ago and am pleased to report that we received full planning approval today which is a right result! The land is part of an old farmyard and sits adjacent to the River Cam and therefore within flood plain where development is normally resisted. It is also within a designated Conservation Area and within the curtilage of a Grade II listed house, hence the reason it has been so difficult. 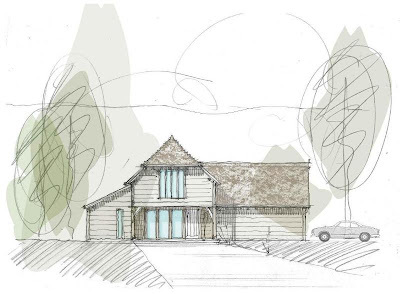 The approval is for 2 detached houses with shared garage block and i designed the houses to maximise the views to the river and natural solar gain. Just confirmed!….. really exciting news is that we will be offering full build and project management services by the end of 2011.. This is a really exciting evolvement of the business and increases our service portfolio to offer a complete package from concept, feasibility and planning stage and through building regulations and ultimately in assisting our clients in the construction of their new homes. Still a few things to sort out but i will keep you updated with progress throughout the coming months. This is another quality frame from the Oakwrights team and the clients are really happy with it. This was a real favourite project of mine from a couple of years ago…. 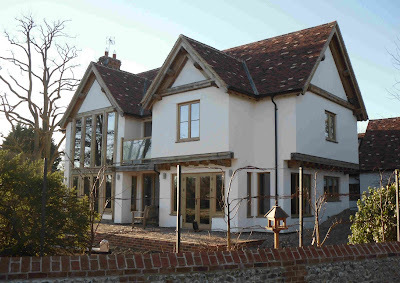 It was a house i designed for a replacement dwelling in a conservation area within a really nice Essex/Herts borders village. The clients have produced a house of the highest quality on what is an amazing plot. Look out for more photos to come soon.